I’m about halfway through Lynn Packer’s book, Lying for the Lord. Packer is nephew for former apostle Boyd K. Packer. I didn’t know that Paul Dunn and Boyd Packer had a little bit of a CES rivalry going on. Both came up at the same time in the LDS Seminary program. Paul got a theology degree from Chapman College in California and was trained in classic biblical criticism. Boyd was a protege of J. Reuben Clark, who weeded out LDS Seminary teachers who didn’t teach faith promoting stories from the bible (and who taught evolution as real.) I was a little familiar with this story, as I talked about the Chicago Experiment. Paul believed that Boyd had sent his brother Lynn to search out his unflattering reports on Paul’s untrue war and baseball stories. However, Lynn says that is completely untrue. Question: Did Elder Dunn, to your knowledge, ever call the news media? Question: What was the purpose of those calls? Answer: After I returned from Japan and after we found that there was a party going after our lenders and causing particular problems, that a news story would not break at that time…Elder Dunn did call the news station. “The of the call was to have them discontinue any further interruptions with our company to close the loan,” Affleck said. Affleck’s answers were what I needed to complete my story about Dunn’s lying about his resignation. Question: What relationship did Paull H. Dunn have to do with AFCO? Answer: He served as a board of director to the company and, at the end, right up through March 1st of 1982, was an advisor director. It was bombshell testimony. Carruth continued. Question: Did you at some point sign a letter that was given to the President (of the LDS Church) that said that Paul H. Dunn was not involved in the latter part of AFCO? Question: Why did you do that? Answer: I would have done anything to not have his exposure at that time. Question: What does that mean, his exposure? Answer: I didn’t think it was appropriate to have Elder Dunn drawn into this thing. Prosecutors did not go after Dunn at the time because of his celebrity status. They wanted the trial to be about Affleck, not Dunn and were worried that calling Dunn to the stand would take the focus off Affleck. Defense attorneys were asked by Affleck to avoid calling Dunn. So Dunn skated off without charges. [Dunn] has made false statements and provided false documents to his higher church leaders, to the press, and to two sets of attorneys taking his depositions and provided false documents to his depositions. Prosecutors were more concerned about Affeck and partner, who were sentenced to 10 years in prison. It was while Lynn Packer was trying to get an interview with Affleck, that an intermediary told Lynn that Dunn’s war and baseball stories weren’t true either. Dunn claimed both to have been drafted at age 18 and signed a pro contract with the St. Louis Cardinals. Both could not be true. In reality, neither were true. When Paul was 18, the draft age was 21, but congress did lower the age soon, and Dunn was drafted at age 19, serving in the army at age 20. Despite saying he had pitched to greats like Babe Ruth, Lou Gehrig, Willie Mays, Ted Williams, and Joe DiMaggio, Paul Dunn only played professional baseball in the minor leagues for 1 week before being released. There are several levels of baseball: AAA is just under the major leagues, then AA, A, B, and C. Dunn didn’t last longer than a week for the lowest league. He never actually served a combat role, as evidence by those who served with him. He told a story of being stuck in a shallow fox hole, and a Japanese tank running over and crushing American soldiers. Somehow the tank pinned Paul to the ground, where Paul was stuck by his helmet. The tank miraculously reversed, saving Paul’s life. Paul talked about wading through water with dead men floating around him. He talked of killing Japs. He talked about holding his best friend, Harold Brown, as Harold died. Yet Lynn Packer talked to Harold Brown, who was very much alive. Paul produced letters to “prove” his stories. Many of the letters were fake, and didn’t support his stories either. It seems Paul Dunn was a forger like Mark Hoffman. It’s been a pretty good read so far. What do you make of Paul Dunn’s legacy? ← Waiting for the Brethren to …. “(Lynn) Packer is brother for former apostle Boyd K. Packer.” – I’m pretty sure that Lynn Packer is Boyd’s nephew, the son of his brother. Elder Dunn was an emeritus member of the twelve for a reason. I do not care to paw through the dirty laundry of one who has passed away. Actually Elder Dunn was a Seventy. He was never an apostle. That some of his stories were fabricated was known by Church leaders long before Lynn Packer began his newspaper accounts. And Packer too was asked not to publish what he discovered. Protecting the Church and the faith of the members is paramount to Church leaders, even if it requires what some call lying for the Lord. So Dunn told faith promoting stories that weren’t true, but the administration made every effort to protect the faith generated by the stories, by suppressing the fact that they were largely fabricated. A CES feud between Paul Dunn and Boyd Packer? Hard to know which side to take on that one. Probably best to just steer clear of the whole affair. Thanks Andrew. You’re correct, Lynn is Boyd’s nephew. I fixed the OP. Parker is right–Dunn was an emeritus Seventy and was never an apostle. Franklin, that’s funny. I actually take the side of Dunn on that one. Lynn Packer says J. Reuben Clark was the one who changed CES from real biblical study to a focus indoctrination and proof-texting LDS theology. Dunn was a classically trained theologian and had many protestant friends. 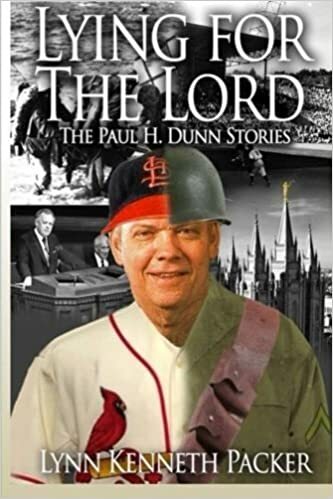 Dunn was happier with a classical focus on the Bible, but generally shied away from that focus during talks, instead focusing on the faith promoting war/baseball stories. Boyd Packer was a Clark disciple and wanted the focus on indoctrination. I think more source material is needed for Paul’s association with AFCO. There’s zero mention of him and AFCO (outside this article) when I Google this topic (plenty about Affleck). There’s not even an entry for this in Paul’s Wiki article. Have you checked court records? Lynn Packer is quoting court records with regards to AFCO. Packer details Dunn’s attempts to quash the story at KSL, Utah Holiday Magazine. The Arizona Republic refused to publish stuff on AFCO in favor of the war and baseball stories. Dunn was pretty good at quashing the story until now, and Lynn is publishing this on his own because no publisher would allow it. It’s 2 years since the last post, and there’s still nothing to be found on the internet about the AFCO issue. Wiki has no link, still.